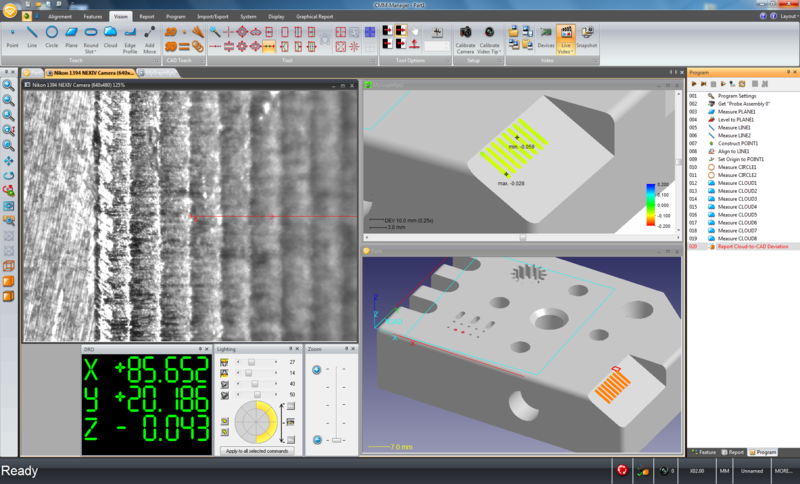 Nikon Metrology, market leader in optical measurement systems, releases CMM-Manager version 3.8. This latest release includes support for Nikon NEXIV VMZ-R, new Microsoft VBScript engine, several vision measurement enhancements, continued I++ enhancements including support for latest Renishaw UCC Server, new Alignment operations, and 64-bit build of CMM-Manager application. The latest version: CMM-Manager 3.8, can be downloaded here. Watch the NWL200 wafer loader video for NEXIV video measurement here.